What brings wine people together at Wineworld Shop & Showroom last night? Some real Riesling fun! 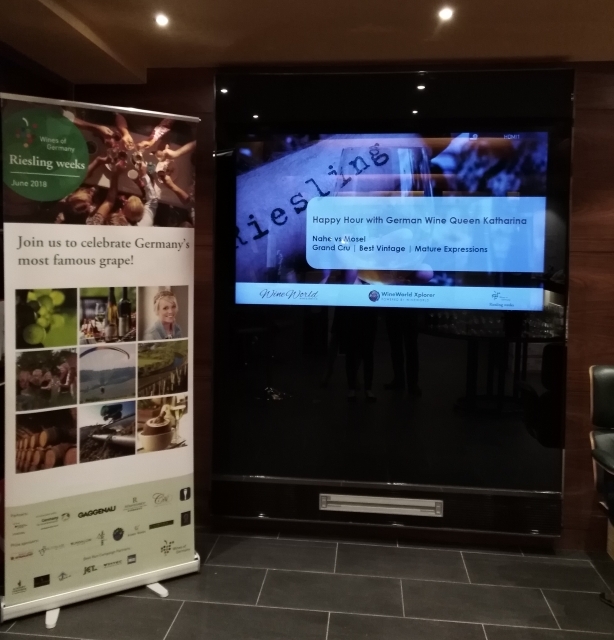 In one hour we compared the soil, geography and taste profile Mosel and Nahe Rieslings with the beautiful German Wine Queen Katharina Staab. 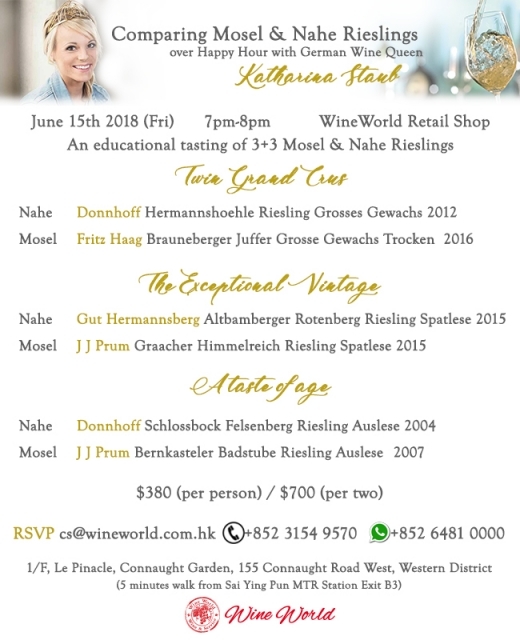 Thank you Riesling Weeks HK and Cru Magazine for coordinating.